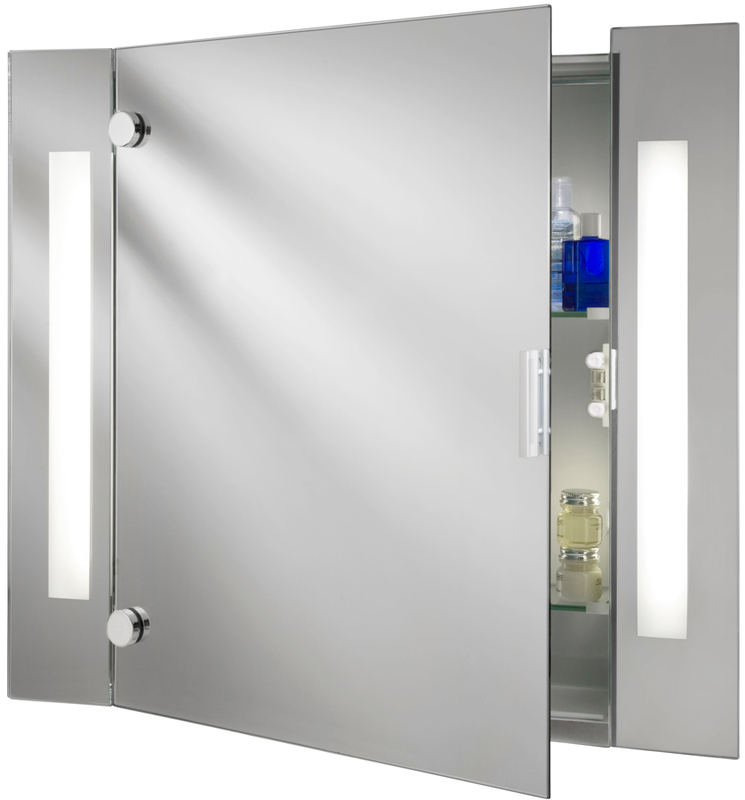 This illuminated bathroom mirror cabinet with built in shaver socket is rated IP44 and features a door that can be hung with left or right opening. It features two adjustable height shelves, is fitted with a handy on / off switch and supplied with two energy saving 15w fluorescent tubes. An excellent practical feature for any bathroom. The sleek metal cabinet is framed by two strips of light and there is plenty of storage space for your bathroom essentials. The shaver socket is perfect for your bathroom appliances and it is IP44 rated and fully splashproof, making this bathroom mirror fitting as functional as it is fashionable. This bathroom cabinet must be installed on a circuit protected by a 30mA RCD and is suitable for zones 1 and 2. If you are looking for illuminated mirrors, cabinets or over-mirror lighting we have a wide choice of stylish lighting options for bathroom mirrors available. All our bathroom mirror lights are IP rated.